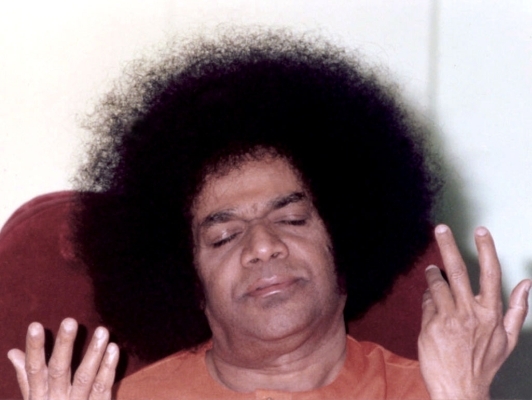 Bhagavan Sri Sathya Sai Baba has told that none may ever understand him, even after studying him for 1000 years. We only know date and time of birth because he has given. 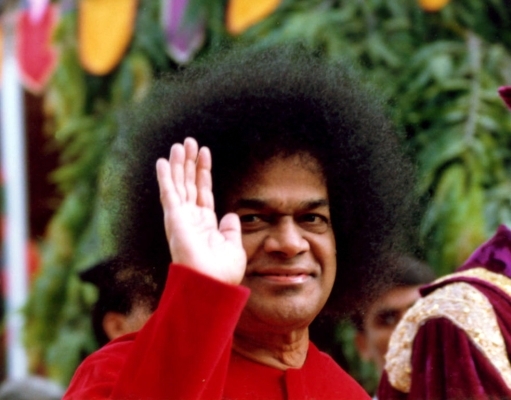 Researchers into the early life of Sathya Sai Baba tell that there were no Julian calendars in Puttaparthi during the era of his birth. (There was no electricity, either – electricity did not come to Puttaparthi until 1967.) None may ever comprehend fully the glory that is Sri Sathya Sai Baba, verily incarnation of Maha Vishnu. This horoscope is offered for information only. Lord Sathya Sai Baba was born on 23rd of November 1926 at Puttaparthi, a village in Andhra Pradesh, at the time when the Sun just rose above the horizon. The birth position of the planets are shown below. Shani (Saturn) and Kuja (Mars) rule the entire domain of man’s life and not much is left to be ruled by other planets. Shani (Saturn) and Kuja (Mars), both give intelligence, wisdom, concentration, self-discipline, luxuries, richness, opulence, splendour, energy, power, station in life, rise in profession and even kingship. Other planets only control various shades of the gifts. Budha (Mercury) shows professional skills, scholarship, knowledge of accountancy, etc. Guru (Jupiter) governs scriptures and the priests. Sukra (Venus) rules artists, poets, musicians, singers, actors and actresses. Had there been only two planets, Shani (Saturn) and Kuja (Mars), we could have ascribed to them all events and traits. All modern trades, professions, technical or otherwise, are ruled by these two planets. 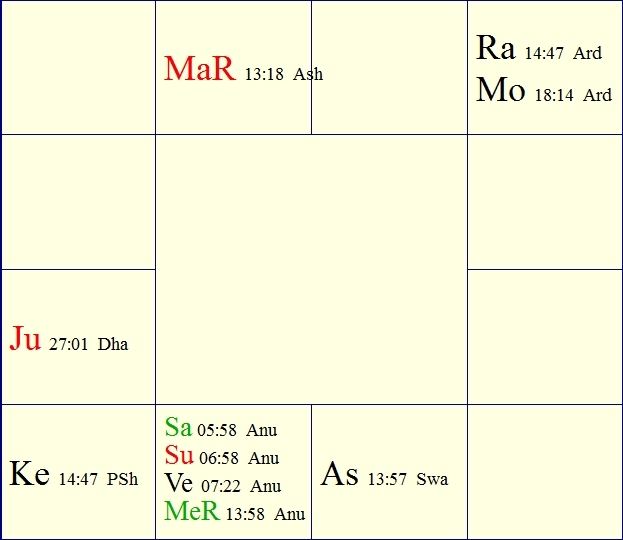 The Lagna (Ascendant or ASC in chart) is in Libra, Sukra (Venus) the lord has bestowed on Baba sweetness and godliness. The aspect of Kuja (Mars), indicates a radiant and fascinating personality. The conjunction of Surya (Sun), Budha (Mercury), Sukra (Venus) and Shani (Saturn) in the second house has made him slight and short, with dark eyes, soft and luminous and bright face with inner tranquility and bliss. The position of Kuja (Mars) in the chart has made him a leader and is forming Kuchka yoga and such persons are courageous, bold, well versed in ancient lore, famous like a king. Kuja (Mars) in nakshatra of Sukra (Venus) aspecting Lagna,(Ascendant) and also second lord has given him a melodious voice. It is said in old treatises that if Shani (Saturn) or the Ascendant Lord aspects the sign occupied by Chandra (Moon), a tapasvi, a man of great asceticism is born. Here this combination is found. Budha, (Mercury) lord of 9th is in Scorpio. Not only Shani, a yogakaraka planet but even Sukra, (Venus) the lagna (ascendant) lord and kavyakaraka conjoining with Budha (Mercury) in Scorpio with Atma karaka planet Surya (Sun), Vidya Karaka Budha, (Mercury) and Kavya Karaka Sukra (Venus) in Scorpio make Lord Sai Baba a native of dynamic personality. The grouping of these planets has given rise to number of Rajayogas like Lakshmi yoga, Adhiyoga and Buddha Aditya Yoga which confer on him comfort, wealth, eminence and power. Because Sukra, (Venus) the lord of the ascendant, Tula (Libra) is posited in Vrischika (Scorpio) whose Lord, Kuja, (Mars) occupies a kendra, Mesha (Aries), there is Parijatha yoga. In this chart, Kuja (Mercury) fulfils this condition. This yoga indicates that one holds religious authority over people, receives homage from kings and rulers, possesses elephants, adheres to ancient wisdom and traditions, attains eminence and is humanitarian and generous. All these characteristics are found in Lord Sai Baba. The 5th house, Kumbha, (Aquarius) stands for siddhi or psychic powers. Its lord, Shani (Saturn), the yoga karaka planet is a clear-cut symbol of this and is positioned in the second house, the 10th from 5th bringing supernatural powers. Shani with 9th lord Budha (Mercury), lagna lord Sukra (Venus), with the atma karaka planet Surya (Sun) and with 11th house lords of gains, bestows miraculous powers. The whole yoga is in the house of speech or preaching. Guru (Jupiter), though debilitated in Makara (Capricorn) is in Bhava Sandhi, comes to the 5th house and is therefore inherently associated with the 1st, 5th and 9th house of spirituality. All the four planets in the second house are in nakshatras of Shani (Saturn), a sidhi-giver planet. The power of miracles are from Kuja aspecting Lagna (Ascendant) as well as the second house. Wealth for a yogi is spiritual treasure. The second house indicates wealth and its lord Kuja (Mars) has connection with Lagna (Ascendant), lord of the masses. Shani denotes that the native utilises his wealth of spirituality for the masses. Yogakaraka Shani is connected with Lagna lord, and Kuja (Mars), lord of 10th from 10th denotes untiring zeal and position of eminence. So the horoscope of Lord Sai Baba indicates that He is not only a man of miracles but a man of self-enlightenment blessed with rich spiritual power and realisation, as also with psychic and spiritual affluence.